/ Tiny Living in a Lifeguard Tower? If you live anywhere near the ocean you are familiar with lifeguard towers. These small structures are usually built on stilts and used to house beach lifeguards, their gear and rescue equipment. While they are not used for full-time living many of them do include a nice amount of space that could be converted into a tiny house. 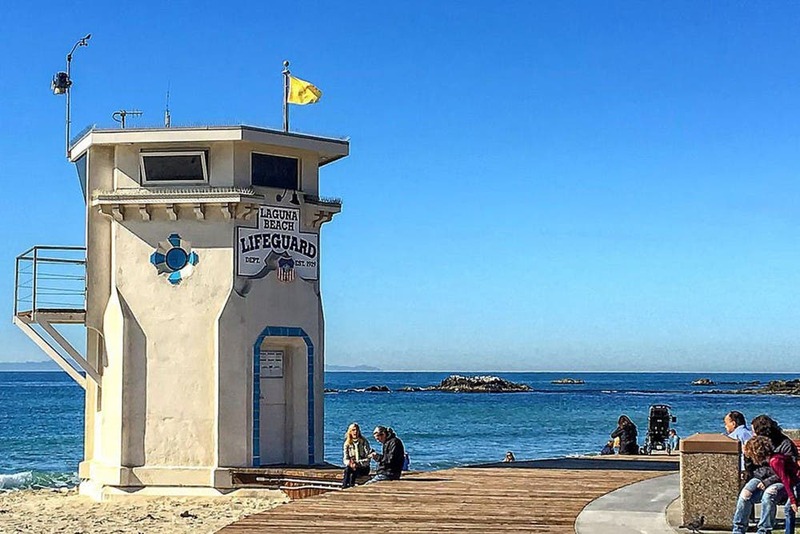 Some people have converted fire lookout towers into tiny homes, why not lifeguard towers? 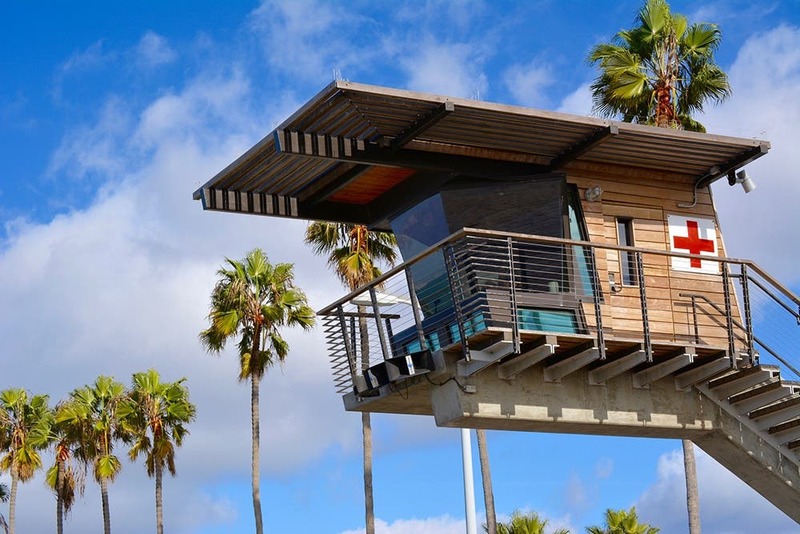 The iconic La Jolla Shores lifeguard tower was designed by RNT Architects. Lifeguard towers have several benefits. They are usually built to withstand heavy winds, salt spray, strong sunshine and multiple users coming and going. In addition, they have multiple windows to let in lots of light. They are also built on stilts so the guards can see over beach crowds and down into the water. This makes for a strong, little structure that could be used for a tiny house, playhouse, guest house or an artist or yoga studio. The Laguna Beach tower is a two story, cement mini castle. Lifeguard towers can be seen in various forms. From wood and fiberglass to cement, the designs are just as varied as the tower locations. 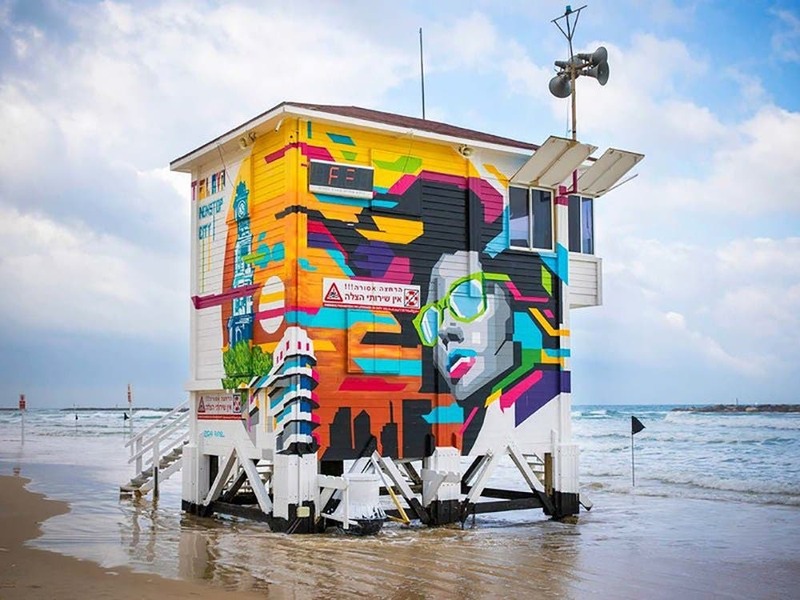 In fact, a lifeguard tower on Frishman Beach in Tel Aviv has been converted into a luxury pop-up hotel suite. The suite not only has the best views of the water, but also a clawfoot tub, loft bed and colorful, graphic exterior. 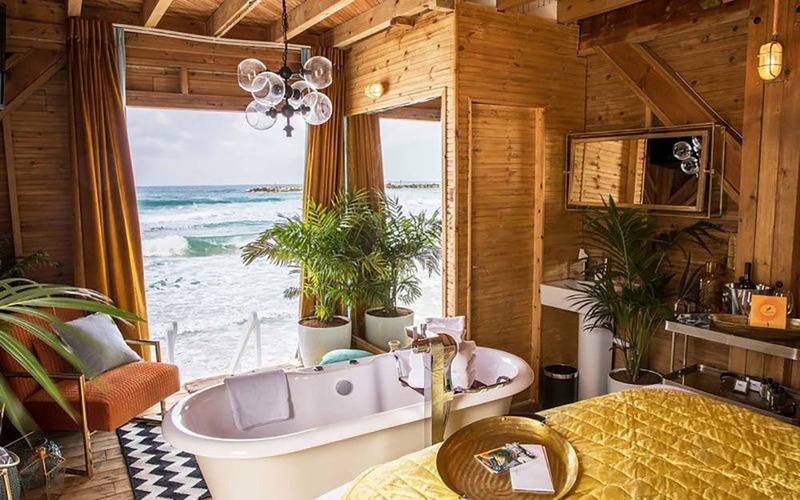 This Tel Aviv beach tower was converted into a pop-up hotel. 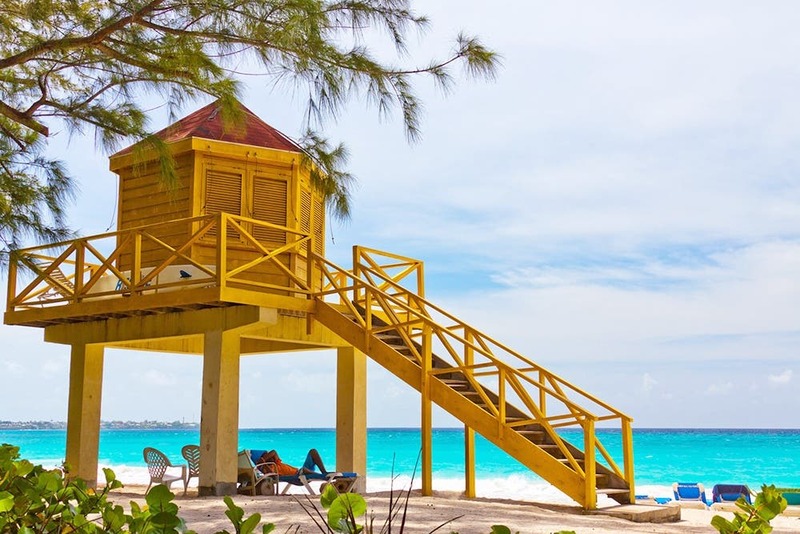 A lifeguard tower would not necessarily have to stay on the beach, but much of the charm would lessen away from the water. 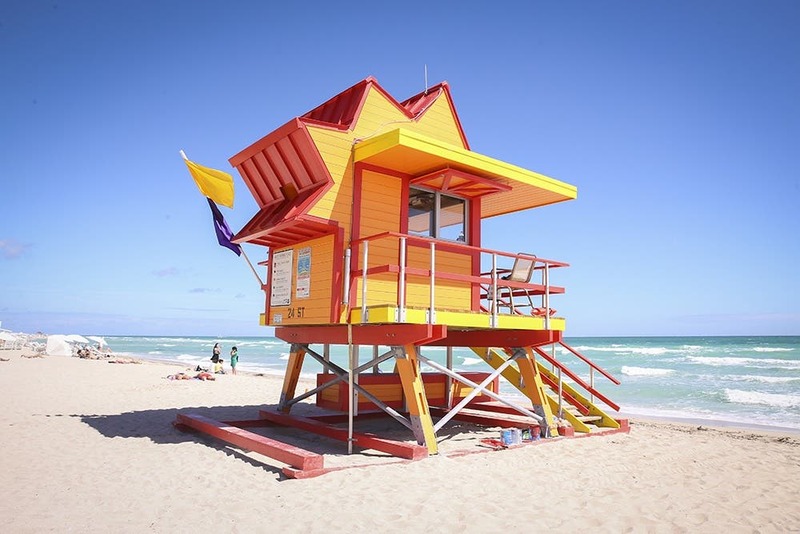 However, used lifeguard towers can be purchased from cities around the country in public surplus sales and moved to any location. 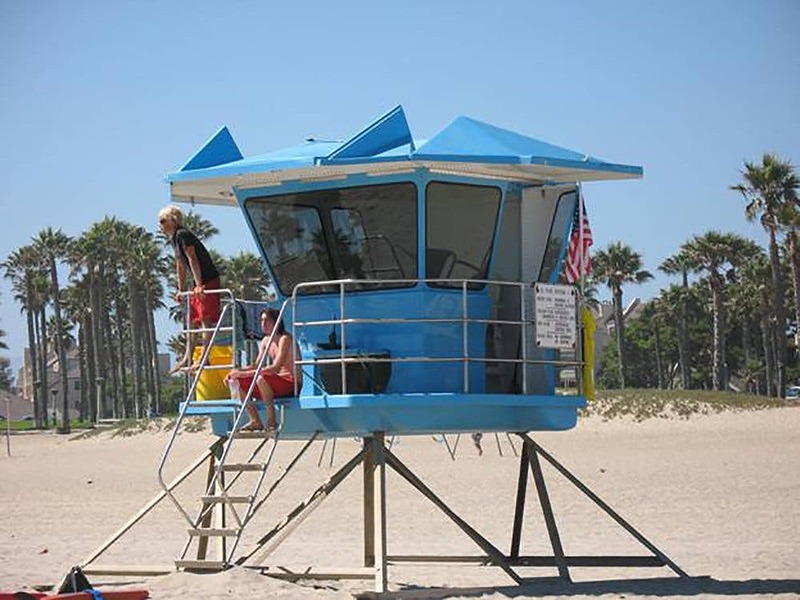 Custom lifeguard towers can be ordered from companies like Surveyor Lifeguard Towers. Several companies take custom orders for new, prefabricated lifeguard towers. Panel Built Corporation builds and sells various styles of observation towers out of steel. Surveyor Lifeguard Towers builds and sells fiberglass lifeguard towers that are ideal for harsher marine climates. This tiny lifegaurd towers are so admiring. Thanks for sharing.